As I look out for new Investment opportunities, this being a constant quest I land upon many interesting avenues. After the Muhurat Trading of Samvat 2068, I am wondering if the next big Investment Sector in India is the field of POLITICAL MEDICINE. I recently received this brochure and am seriously considering picking up a stake in SAFE HAVEN HOSPITAL. 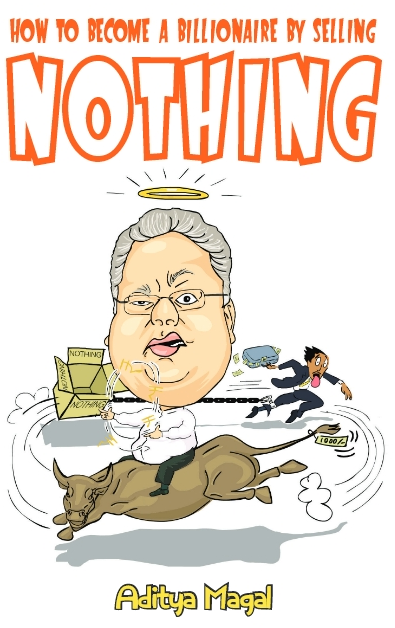 Looks like a super-mega-duper-Guaranteed Multibagger! ÞExcellent Hospitality provided to Police and CBI arrested political criminals. Experience the finest experience in POLITICAL MEDICINE! 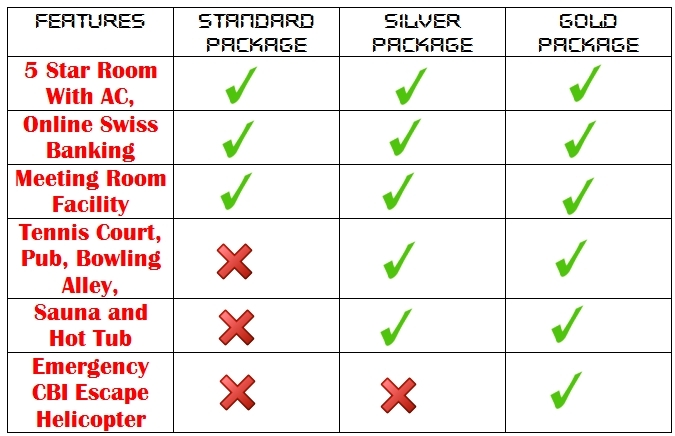 We Provide the ultimate SAFE HAVENS to Politicians. ÞRecommended by highly respected scamster politicians who have experienced our facilities first hand like Madhu Koda, Amar Singh, BS Yeddyurappa, A.Raja, Suresh Kalmadi, Amit Shah, Mickey Pacheco and many more! ÞGet 'Just Like Home' feeling with your very own LCD TV, Jacuzzi, King Size Bed, custom made politician Kurta/Sari attire all in your very own Room/Ward! ÞBe provided with the best possible Medical Care by our highly qualified team of Doctors and Surgeons who will easily testify in Court that you have serious Medical Conditions which will help you avoid Jail and stay instead in our Hospital! ÞChoose your very own disease to be diagnosed with such as Malaria, Pneumonia, Constipation, Diarrhea, Sexually Transmitted Diseases like Chlamydia and Gonorrhea or stick to the popular options like "High BP", "Stomach Pain" and "Breathing Trouble"
ÞTake advantage of our own highly specialized Hospital Legal Cell who will work with our Doctors to ensure that you get bail for your Medical condition and thus avoid Jail! So what are you waiting for? 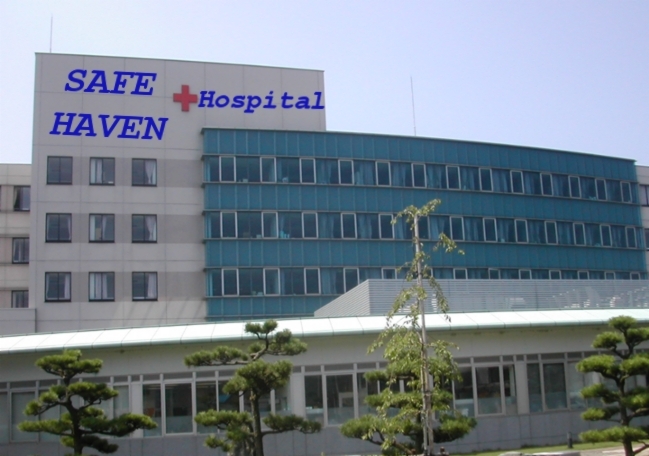 If you are a Politician who is in Jail or about to be sent there admit yourself in SAFE HAVEN HOSPITAL® immediately. Avoid Jail time and enjoy life in hospital instead fulltime! 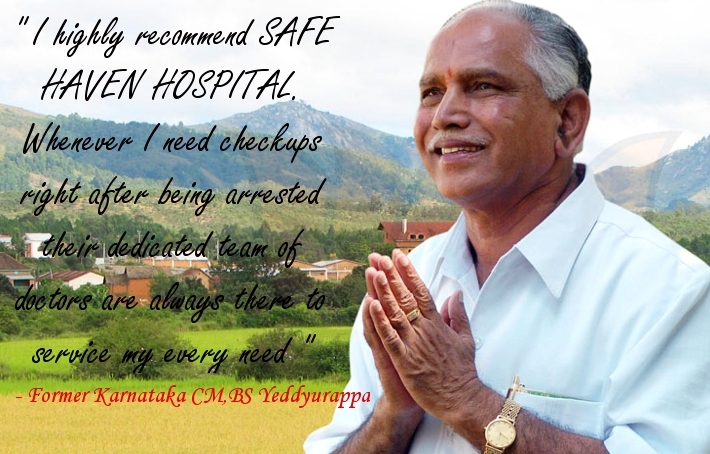 GET THE BEST IN POLITICAL MEDICINE TODAY WITH SAFE HAVEN HOSPITAL. GET ADMITTED TODAY!